Tax & Business Registration for eBay Sellers! There are many different options available for when you want to register/set-up a new eBay and/or eCommerce business, some are very simple and free while others involve a lot of paperwork and some cost. Registering as a business partnership (this is basically the same as being a sole trader but for multiple people). The structure you choose will affect many things, including how and what tax you have to pay, the profit you can personally keep, the paperwork you must fill in and also your personal responsibility for the business. With roughly ¾ of businesses in the UK having only one employee, sole trading is by far the most popular option – especially for new start-ups. This is due to the very easy registration process, simple tax rates, and little paperwork needed. Plus as a sole trader, you get to keep all the profit your business makes after you’ve paid tax! Compare this to a limited company, which is an organisation you set up to run your business. Any profit made after paying corporation tax is shared between its shareholders. Put together statutory accounts – which must include a balance sheet, a profit and loss account, notes about the accounts, a director’s report and an auditor’s report. So as you can see – there is a LOT of paperwork involved with running a limited company! You’ll almost certainly need to hire an accountant just to keep up with everything. That’s why I always suggest registering as a sole trader unless you have a very strong reason not to… and for 99%+ of people, it will be by far the best option. Being a sole trader means you’re running your business as an individual (you can still hire staff though) and you have complete control over the way it’s run plus all the profit your business makes is yours to keep after you’ve paid tax. However when running a business as a sole trader, you’re also personally responsible for any losses your business makes or any outstanding bills in the name of your business and you have to ensure you keep full records of your business’ sales and spending. This unlimited liability basically means that there is no legal distinction between you and the business, so if it fails and you stop trading, you’ll still be responsible for any debts. This of course shouldn’t be a problem, as for most people looking to start a low-risk business it’s very unlikely you’re going to build up big debts, but just something to be aware of. You need to register for Self Assessment with HMRC (HM Revenue and Customs) as soon as possible after starting your business. Technically you won’t be charged a fine unless you register later than 5 October in your business’ second tax year (the tax year for sole traders is from 5 April – 6 April) but to be safe – just register straight away to avoid any potential problems. You can register on the phone by calling HMRC’s ‘Newly Self-Employed Helpline’ on 0300 200 3504, you can register online through HMRC’s Online Services or you can print and complete the form CWF1 and send it via post to the National Insurance Contributions Office – whichever way you prefer, though online is generally easiest/quickest. Personal contact details – name, date of birth, address, telephone number, email etc. Business details – nature of your business, business name*, start date of your self-employment, business address and business telephone number. Use any misleading terms such as Limited, Ltd, public limited company, plc or anything else that might mislead someone as to the structure of your company. Use a name that suggests a connection to a government organisation. Use a name too similar to an established business in the same niche/area as your business or a name too similar to a registered trademark. Bear in mind that if you do decide to use a trading name, you still have to display your own name on any business stationery (letterheads, business cards etc. ), invoices or business letters. Once you’ve registered for Self Assessment with HMRC you’ll receive a Unique Taxpayer Reference (UTR) number which you’ll use to send your yearly tax return. Completing a yearly tax return is pretty much the only paperwork you need to complete as a sole trader and it’s actually very simple and straightforward to do – as long as you’ve kept details of your business’ income and expenses, which you should of course be doing anyway. You’ll need these records to fill in your tax return form and you may need to send these documents to HMRC if they ask for them (though they rarely do). Unlike with an Ltd company, there are no rules on how you have to keep your records – you can keep digital records, have them as part of your accounting software or even written on paper – as long as your records are accurate, complete and legible, that’s fine! If you’re registered for Self Assessment, HMRC will send you a letter each year (usually in April or May) asking you to send your yearly tax return for the previous year. You’ll need to complete the main tax return form (SA100) to give basic details about yourself (name, address, straightforward income etc.) as well as any ‘supplementary pages’ to give info on other income, for example – employment income (SA102), property income (SA105) and income from self-employment. If your annual business turnover was below £77,000 then you need to complete supplementary page SA103S and if it was above £77,000 then you need supplementary page SA103F. Now I know this may seem a little complicated and confusing but trust me, it’s not! The forms come with all the guidance notes you need and the info they ask for is all very simple and straightforward… once you’ve completed one you’ll realise just how easy it is! Remember, the tax year for self-employed people runs from 6 April – 5 April the next year. E.g. in April/May 2014 HMRC will send you a letter asking for a completed tax return for the year April 6 2013 – April 5 2014. And then the deadline for actually making payment on any tax owed is January 31st 2015. There are penalties for sending your tax return late, so make sure you do it on time! You are given plenty of warning, so there’s no excuse to be late which will lead to you getting a £100 fine if it’s less than 3 months late and additional penalties of £10/day if it’s more than 3 months overdue. And if you pay late, you’ll be charged the late penalties plus 3% interest on the amount owed. Just don’t let that happen to you and send it in on time! How much tax do you actually have to pay? A very important question of course which I’ll cover now as I get a lot of emails from people confused about the actual amounts. The first thing you have to know is that tax is only paid on taxable income above your personal allowance. What is a personal allowance? It’s simply a set amount that you’re able to earn each year before you have to pay any tax! Your personal allowance depends on your date of birth and your total income that year. Total income means all taxable income (earnings, pension, interest on savings etc.). What is income limit and how does it change your personal allowance? Basically if your adjusted net income is over the income limit, your personal allowance is reduced by half the amount you earn over the limit. I.e., for every £2 over the income limit you earn, your personal allowance is reduced by £1. But, very importantly – if you earn more than £26,100 but less than £100,000 your personal allowance cannot go below £9,440 as that is the basic allowance. If you do earn more than £100,000 then your personal allowance can potentially be reduced to zero – depending on how far over the income limit you are. According to the table above, John’s income is £1,000 over the income limit so his personal allowance is reduced by half of that – i.e. £500. So from £10,550 it becomes £10,050. Peter’s income is £29,900 above the limit so his personal allowance should be reduced by half of that which would make it zero… however as Peter earns less than £100,000 his personal allowance cannot go below the basic rate of £9,440. Jane earns £25,000 above the income limit of £100,000 so her personal allowance should be reduced by £12,500 (half of £25,000) which puts it at zero. And as her income is above the £100,000 mark there is no minimum basic allowance so it stays at zero. Again, this may seem overly complicated at first but is actually very simple and easy to work out – once you’ve understood the slightly weird system used! Now, onto the most important point, the actual amount of tax you must pay HMRC on your business’ profits! At the moment, there are three tax rates / brackets – Basic, Higher and Additional. But remember, income is only calculated after removing your personal allowance. So let’s say you earn £35,000 and your personal allowance is £9,440 – you only pay 20% tax on £25,560 (£35,000 – £9,440). If you earn £9,000 and your personal allowance is £9,440 then you won’t pay anything as your taxable income is zero. As you can see from the table above, personal income tax is quite reasonable up to £32,010 but any profit above that is taxed at 40% which is a very steep increase! My personal recommendation is; once you reach the point where your annual business profit passes the 40% threshold, you should start looking at registering as a Ltd Company so that you pay Corporation Tax instead of Income Tax. At the moment, Corporation Tax is set at 20% for profits of up to £300,000 and while it generally wouldn’t be worth the hassle and cost of setting up a company when first starting out; at this point in your business when you’re making good money, you can start to consider some other options that wouldn’t have been beneficial or cost-effective before. There are a number of ways you can pay your Self Assessment tax bill, including: by debit or credit card, by Direct Debit, through your bank or Post Office and by post. Just make sure that you allow enough time for the payment to go through before the deadline, so you don’t get fined. As well as income tax, there is something else you need to pay to the government – National Insurance. Again, the exact amount depends on the annual profits from your business. National Insurance is split into two parts – Class 2 & Class 4, and the rates for self-employed people differs slightly to normal but basically; you pay Class 2 National Insurance if you earn above £5,725 a year and pay Class 4 National Insurance if you earn more than £7,755. *To not pay Class 2 NI, you’ll need to apply for an exception, which is sometimes called a ‘Certificate of Small Earnings Exception (SEE)’. So as you can see from the above table, National Insurance payments are not that high and only really start if you’re earning over a certain amount, and while nobody wants to pay tax for no reason – National Insurance does contribute to your pension entitlement so it’s worth it in the end! Class 2 NI is paid via direct debit and Class 4 NI is paid along with your income tax through your Self Assessment Tax Return. You’ll notice that I haven’t yet mentioned VAT, and the reason for this is very simple – as I’ve already covered in a previous blog post, you SHOULD NOT register for VAT until it’s absolutely necessary. You have to register for VAT once your turnover goes over the threshold (or if you know that it will). Currently the threshold is £79,000 (it generally goes up every year) and is calculated by your VAT taxable turnover, i.e. the total of everything sold. But as already mentioned, I strongly suggest keeping away from VAT registration for as long as you can! What if I already work full time? One thing that always seems to confuse people and something I get a lot of emails about is how does registering as a sole trader differ if you’re already employed? Well the basic answer is – it doesn’t. The only difference is; when you fill in your Self Assessment tax return at the end of the year, you’ll have to also include the income you earned from your job – that’s it! Everything else remains the same, the two are pretty much separate and your employer won’t know about your business. The main thing you have to consider if you want to start a business when you’re already working is your personal allowance and tax rates… as tax rates are calculated on your TOTAL INCOME, which means the salary from your job plus any profits from your business. As mentioned above, once you pass the 40% threshold (currently £32,010) then you should start looking at registering your business as a Ltd Company which means you’ll pay corporation tax which is only 20% up to £300,000. So I think that’s everything! I hope you find this guide useful in deciding how to register as a sole trader, and don’t be put off at all if it everything seems a bit complicated/too much of a hassle – it really isn’t and is actually incredibly simple and easy. Of course I’m always happy to help if you have any further questions, but at the same time I am not an accountant and if your situation is very specific or you want to find out more about registering a Ltd company or registering for VAT – I always recommend speaking to a professional as they’ll have the working knowledge to give you the advice you need. Most accountants will allow a half hour to one hour initial consultation free of charge, so don’t be afraid to speak to someone locally if you need more help. So I set up as a sole trader selling on eBay and I initially invest, say, £1,000 in stock. I then start making a tidy profit each month but I invest 100% of my profits back into stock, so technically I’m not making anything right? And, say I’ve turned my initial £1,000 of stock into £10,000 of stock by the end of the tax year I won’t have to pay tax on the £9,000 increase in my inventory will I? What would happen if I registered with HMRC as a sole trader, so I pay my taxes ….. but stick with a personal account on ebay? I know I would be going against ebay rules, but would I be breaking any rules with HMRC? Hmm, not sure but I don’t think you would break any rules, no. But you will probably want to have that Business account on eBay anyways, to be able to qualify for TRS, Premium Service badge and other advantages. 1. As full time employed and a sole trader I’m looking forward my sister join my business forming business partnership. How is it when it comes to tax return. Do we need first calculate business income/profit(pay tax for it) filling partnership tax form and then add our share let say 50/50 to self tax return? Or divide business profit before tax paid add it to our self assesments returns and then pay tax along with our main jobs income? 3. Can I turn old garden wood into craft and sell it without purchase any stock? Would taxman ask me where did I get it from? Thanks again for article, I’m looking forward for any advice. As explained in the article, I do not provide specific accounting/tax advice here – I’m not an accountant. I outsource all my accounting myself. You should consult a qualified accountant and get professional advice on your situation. I’m not 100% sure but I don’t think you can register as a sole trader having a student visa. But I may be wrong so please contact HMRC and find out from them directly. my question is am i doing this right. should i as a sole trader running a business but personal as well, be declaring this build up of stock, or only add it as i sell it in a chosen year to my turnover, and as i bought said item many years ago, can i still add the cost or what i remeber to my actual cost for it, or does it now go in as the whole price of sale with nothing taken off for what i paid for it? otherwise if i sell it all no i would have a huge tax bill as i can not take of cost that i paid from many years ago. if i kept it as money in the bank it would be my profit over years and all mine, but i am not sure on putting my own money over years into item i wish to sell possibly many years later. i do not add money i spent on said item into my yearly expenses for the item, only what i have paid for items sold in that year. do i have to put items aside as stock held as this really is just my money that i have chosen to do what i want with. in following years if i buy £5000 worth of new goods and throughout the year also sell items i put aside years before, can i still add the original cost from years ago to my actual cost for that year. few i hope all this makes sense, and if to long for you to answer i understand, but all the forums i have looked up no one has asked this question right, i believe it is only my scuff as i am only a sole trade and i am introducing it as an injection, but i am a little worried i can not claim original cost, which scares me, as i have no reciepts for some item but always put there cost at a price i remember paying. THIS is exactly why I outsource all my accounting. Seriously, it’s a rather complicated topic that can’t be easily covered in a blog comment reply. You should really get a consultation with an accountant – most will offer a free 30 – 60 minute first session where you can ask all these questions and get qualified advice. Sorry, not much help, I know but I don’t want to give you wrong advice here. Has the policy now changed for completing a CF10 Certificate of Small Earnings Exception (SEE)? The form at the link above has been archived since you wrote this blog, so am I correct in thinking that you now only pay Class 2 NI if you specifically elect to do so on your tax return (SA103S, Box 36) if your income is below the £5,965 threshold? Also, if I select to trade under a business name as a sole trader, does this automatically get included on the Intellectual Property Office list when I register as a sole trader with HMRC? I have had two ebay accounts for the past three years and am not registered as a business as I have always seen it as a hobby where I love hunting for a bargain at the weekend when I’m off work. I usually cover my costs and sometimes make on average a £200-£400 profit a month. My yearly income from my part time job is £16000. If I decide to register as a business account would hmrc look to back date tax on any money I’ve made over these last three years? I don’t know what risks there are if you don’t tell them this and I can’t really provide such advice. You can start new business and as long as you don’t reach your income threshold, do it as a sole trader. If you go above, you can always register a separate Ltd. company for it. I am slowly working through your blogs. This ones been most helpful. I just read the comment regarding the Product Liability Insurance. Is this necessary for every ebay business? I would be looking at low risk products, so not including cosmetics, baby toys, etc. If it is, could you recommend where to start looking into this? Also, I am not yet registered as sole trader but am thinking of doing so soon, however I did purchase a few items from China last year in Oct, Nov time. Should I register soon so I can declare those so I don’t get a late fine? So i started up my own business, i am technically a sole trader, not earning anywhere near the limits for me to pay tax just yet (as far as i know). But basically i have an account under my name, and one under my partners name. When i eventually have to pay tax, will this effect my partners tax that she has to pay or can it all be done under my name despite an account being under her name? Sorry i know i haven’t explained very well, just confused as i’m still young and relatively new to having my own business etc. Also, were both students, don’t know if this effects the amount of tax ill have to pay? Yes, it will have an effect. Basically, if other account you use is on your partner’s name, then you have basically two separate businesses – one for each other. And both will have to register as sole traders, do tax returns etc. So if you don’t want to do that, just stick with one account, on your own name or open 2nd account for yourself. Wow this article is such a big help, not to mention all of the posts. Credit to you for replying to them all! I was starting to think i may need to pay for legal help but im hoping you may be able to help. From september i will be a HE student, i will be loaning just over 10,000 a year in care and maintanence as my child lives with me. The course is 6,000 a year loan paid directly to the institution. While studying, i am planning to open up an ebay shop as a hobby, potentially turning it into a business one day. I currently have a personal ebay account with feedback, stock sourced, funds available and spreadsheets made to record any piece of data associated with any incoming and outgoing orders and transactions. I will be buying several items and around 20 – 100 of the same item per month and will be listing this as 1 listing per product with the quantity available for that product. For example 1 listing of 50 x, 1 listing of 30 y, 1 listing of 40 z.
Firstly, do i have to put student loan, child tax credit and child benefit as income? I hope ive provided enough info! I just want to get it started now but am slightly worried due to the quantity of items i will be purchasing. I also am confused as to how start selling; through a shop on my account or upgrading to a business account? Thanks again, i really hope you can help! 1) Sorry, I really don’t know answer to this one as I’m not an accountant and have no personal experience with this set-up. 2) You’ll most likely want to upgrade your account to Business, yes, as this will essentially be a business. Yes, you can’t revert business account back to personal one BUT you can always simply open new account, for personal use. 3) For first few weeks you can just start selling and see how it goes but yes, you’ll want to register with HMRC as a Sole Trader as this will be a business. Thanks so much for your help. I really appreciate it! I am registering now as a business for eBay but a little stuck on the HMRC registering page. Very interesting read, I have currently been register on eBay as a business since 2014. I have been trickling under my VAT threshold for the past 6 months. Due to selling second hand items I don’t see it being viable for me to become VAT registered as my mark ups only at about 40% so with all the current fees another 20% on top would potentially cripple me, however I may be missing something? I know I can register a second business selling the same items on eBay in my name, but could I set one up in my wife’s name selling the same sort of stuff to enable me to sell more ? This would enable to be not become vat registered but produce more sales each year? Technically you could do this, yes. But then everything for that 2nd business should be on your wife’s name – all accounts etc. Also, there’s a very thin line to walk here – in eyes of HMRC they may see this as artificial business split to avoid VAT registration. So I would recommend you consult an accountant to get professional advice on how and if this can be done. What Business Expenses Can eBay Sellers Claim Back? 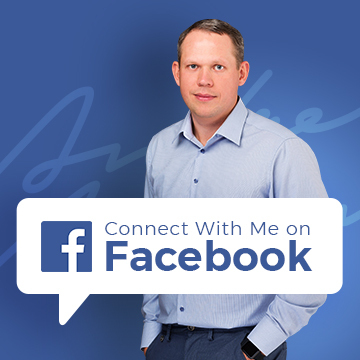 Firstly, apologies at my many questions – I am new to business and I am trying to understand. I am looking at starting a small confectionery business from home. I also work full time and after tax earn a little over £17000 per year. As I work full time, will I have to apply for an exemption certificate as well as registering as a sole trader? Is the exemption certificate only viable if I don’t expect to make a lot of profit, or is it beneficial for me to apply for this as I work full time? Also, I read below that if my business was to become profitable, my job earnings wouldn’t be taxed- however, what do you mean by “increased rate”? Does this mean around 40% of my profit could be taken away from me? Will my business be seen as a second job and will I be heavily taxed? – this wouldn’t be worth starting if this is the case. Sorry, have no advice on exemption certificate as it’s not my area of expertise. As for your business profits taxed @ 40% – yes, if you’re self employed, when your earnings (profit) per year go above the threshold, you’ll have to pay 40% tax on profits that are ABOVE that threshold (only on amount that goes above threshold). When that happens, it’s better to register an Ltd. company and pay normal rate. Hi Andrew do you have a post on claiming money back? I know if your self employed you can claim money back on certain items that’s for business purposes. Can you claim the money back for shipping and envelopes ?? No, I don’t have a post on this topic (good idea, Thanks!). Yes, you can put shipping & envelopes as expense, of course. Please could you do a post on this as I havnt a clue. Do you need to be VAT registered to claim expenses ?. yes, will do a post on this in near future. No, you don’t have to be VAT registered to claim expenses, of course not. Yes, that’s correct on everything you have said. Only thing – be careful with branded items like Nike shoes – eBay “could” put limits on your account and even ask for proof of purchase, as there are many fakes sold on eBay. So make you start slow and keep all receipts from the place you buy these items from. Thanks, just to reiterate, if I made up to the €10000 personal allowance on myself, which I don’t think I would more like £300 a month then expenses taken off so realistically, £200 a month profit, therefore £2400 a year profit, I still have to fill a self assessment formin but would not have to pay tax. Does it make any difference if the eBay and the PayPal account is in my husbands name? Both accounts should be on your name though. If they’re your husbands accounts, technically he owns & runs the business. Ok thx, thx for all your help, it’s a bit daunting at first and I wouldn’t have wanted to start something without checking things first. no worries, you’re welcome Joanne! Excellent advice – thanks you. My son who cant get a job a present is wanting to buy and sell classic motorcycle parts on ebay to make some cash – this guide is superb and exactly what he needed – thanks again!! Quick question. I have a full time job. Let’s say I earn 21,000 after tax. If I set up as a sole trader and made 13,000 profit, making my total 33,000. How does the tax work then? Would my job earnings be taxed again or would my job earnings be safe? Your job earnings will stay safe. 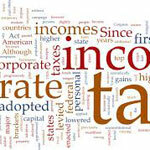 And then anything you earn above threshold from your business, will be taxed @ increased rate. Hi Andrew 4 years ago I suffered a breakdown lost my business/home/car/wife etc. Now 4 years on I want to go self employed selling on ebay. Problem is I’m getting help with my rent etc (ESA) and really need to know how I can go self employed without breaking the law? I cant just give up the help I’m getting and expect to sell enough on ebay every month to pay the rent and bills. Thats going to take at least 12 months. Please send me a support ticket and I’ll try to give you some advice. I would like to open a second eBay account but does this mean I will have to fill in two tax returns, one for each account? I have products which are related to my main business but which would dilute my brand were I to sell them under my original business name. No, of course no – you can run both (or more) eBay accounts under same sole trader/business name. While at University I started up a small T Shirt/Fashion Company selling Printed T Shirts online from my bedroom. It was a hobby and project that took off so I started selling them and advertising on social media etc. The Company ran for about two years from start to finish, and was used in my Final Major Project at University. I wasn’t really near being over the profit threshold at all to get taxed on so never registered it (or didn’t think I had to as I was well under). I stopped trading around half a year ago. I still worked a couple of part time jobs which my tax was paid on, just not this little side business, and went to Uni at the same time. Do I still need to register for tax despite no longer trading and will I have to pay the fines for late registration? I just want to stay on the right side and not have this come to haunt me few years down the line? Hi, I’m thinking of selling a product on ebay. My annual income is below £5000. I am anticipating purchasing approximately 100 units to sell and will see how it goes. If I sell them all at the anticipated price, my profit will be approx £1000. This will not take me near my personal tax allowance. I’m not yet a sole trader, and not sure this will become a business. Can I just list the items in a personal shop, with a personal paypal account and see how it goes, then if it takes off and I double/treble my purchases and decide to make a business of it I can register as a sole trader? I obviously will declare anything that is necessary and am just trying to make sure I’m doing this right. Yes, you can absolutely do this. It’s perfectly fine to try this business idea out – if you continue with it, you then register as a sole trader and will simply book in/account these sales and purchases. I am wanting to start buying and selling through parties and eBay. I understand about registering as a sole trader, your feed has been very helpful. I am employed and earn £28000, however my partner is self-employed and made no profit in past two years. Is it better to do the buying and selling through his business rather than registering myself? Yes, it would be more beneficial to you, tax wise, to set-up this business on your partner’s name. I am registered as self employed because I’m volunteer and help in my organisation. when we providing a project then I give invoices. When I registered I have written knitting and crocheting because this is my hobby. I want to do some things and sell them on ebay. I think I will sell about 5 things per month, maybe more. I’m not sure how many. Do I have to register on ebay as business account? eBay will not ask you to register as a business seller, no but most likely you’ll want to do it anyway – so you can work towards getting a Power Seller and Top rated seller accounts. thank you very much for the post, it’s very useful. I’ll briefly try to explain my current situation and would be great any help from you. I’ve recently started to sell phones through ebay.co.uk and Amazon.co.uk I’m outside UK but I’m selling all my goods in UK. What should I do in this case? Can I registred myself as sole trader in UK without a UK address? Fortunately I lived in UK in the past so I’ve got the NIN. I thank you so much for any information you would provide me. Why do you want to register as a sole trader in UK if you don’t live there? As far as I’m aware, you can’t do that. You need to have permanent residency in the UK to register as a sole trader here. But as I said, if you don’t live in the UK, you should register your business in country you’re living now. Yes, that is all correct and how it works. That IS A VAT invoice!!! if you’re dealing with a VAT company residing in other country than you’re, you’re NOT charged VAT straight away on these services – this is how it works now. That is the reverse charge mechanism. Basically this means that you don’t pay VAT at the time on purchase but it is still calculated when you do your VAT return and accounted for. As for the technical way on how it should be booked into your accounts, I’m sorry, I can’t help with that as I’m outsourcing my accounting stuff and don’t know the details on how it’s all done. Your accountant should know how to do this. Hi Andrew (or anyone reading this) do you have any understanding of how the the Reverse Charge VAT system works that EBAY operate for billing VAT registered businesses. I can’t seem to find much info about it and it’s baffling even to our bookeeper that deals with our VAT return. She spoke to HM rev. and came away even more confused….can you help or point me in the right direction…. What problem you’re having with it? Then you’ll get VAT invoice from them which you can then properly book in. Same would apply to any other, similar company – you need to provide them with your VAT number so they can issue you proper VAT invoices. If you have provided your VAT number with these companies, invoice MUST show VAT. Otherwise you can’t book it properly. You should probably contact these companies and ask why they don’t send you VAT invoices. I basically don’t want to add VAT on to my sales as for me to make profit I have to increase the price of the item for the buyer to Cover my VAT and then this makes it harder to compete as businesses that don’t pay VAT will be listing there items cheaper. Hope that all makes sense. I’m also flat rate VAT scheme in my Ltd company and this would be jeopardised if I had to use my Ltd company. Yes, you can be a sole trader, not VAT registered and keep your current Ltd. company separate from your eBay business. This is perfectly fine. I have been running an Ebay business for roughly a year. I haven’t been overly focused on it but since being made redundant about a month ago I am considering trying to make a full time job from this. I have a personal account with a shop which i pay x amount per month. Now if I wish to change to a business account I really need to apply to be a sole trader don’t I otherwise I’m sure a business account will attract the HMRC am I correct? Also what happens with the money I have previously made over the last 14 months? we are talking nearly £5000. Is it a case of they will only be interested from what I sell once becoming a Sole trader, or will they want to drill further back into my selling history? You can upgrade your eBay account to Business WITHOUT being a sole trader. eBay doesn’t care really unless you do high volumes of sales per month. They won’t “attract” HMRC nor report your account to HMRC. Not saying it is a good thing to do but from eBay side, you don’t have to worry about it. What you should do though is register as a sole trader to stay in line with law & taxes and don’t worry about getting caught. So glad I came across your site the other day. I have been running an ebay shop for about a year, just getting exact dates etc together. I know I am not running it efficiently enough as I need to be buying from maufacturers and wholesalers direct. But finding it difficult to get accounts with them. Am I better to say I am a new business with no track record or give the value of sales so far which are not gteat. I currently work full time so have found it a struggle to keep up with, however my life is changing and I what to be running it full time. I am running it on a drop shipping basis. I just wanted to ask, am I too late to register it as a sole trader as I don’t want to get fined. Reading the comments above I think I am ok as long as I do it soon. Also I was looking at your widget about starting your own business on ebay. I have found reading it very interesting and know it will improve my ebay business and I really want to emabark on it but do not have the spare cash and I was wondering if you take installment payments. You can definitely register as Sole Trader and you won’t face any fines if you have all records of sales (which you will as they’re all in eBay/PayPal accounts). As for contacting wholesalers – depends on what kind of companies you want to deal with but usually, it’s better to have at least some rack record than nothing so yes, I would recommend you saying that you already sell these products. Lastly, about my Easy Auction Business course – sorry, I do not take instalments for it as I believe £67 is already so low price that if you’re serious about making this work, you’ll find it to invest in your business. To keep things simple, why not simply one of you register as a Sole Trader? That is if your current earnings are not close or above your personal allowance for 20% tax. If it is above, your best bet probably would be to register an Ltd. company. It doesn’t matter how much profit your business makes or even loses! You have to register it and report your sales/income/profit to HMRC. This is an amazing website. I write here because I don’t know how can I register as sole trader. I must have an NI number for registration. I don’t live in UK and I don’t have NI number, but I live in Eu. You have to register in country you live, not in UK. Contact your local tax/small business institution and ask them for registration. Hypothetical case 67 year old. Only current income £6000.00 made up of state and small works pension. If start trading on ebay and 1st year sales £5000 with net profit of £3000, total net income £9000.00. Question- Do I even need to advise HMRC since total net income well under personal allowance. Just want to stay legal! As far as I know, yes, Geoff – you would still need to register as a sole trader and do yearly tax return. Otherwise HMRC can’t know how much you made or did not made in previous year. Still very baffled by what appears conflicting info, namely the impact of (legally) doing half-a-dozen or so monthly shifts at a pub, being taxed on that prior to even getting it, and it’s impact on one’s personal allowance if considering sole-trader possibilities. In the main article it seems clear enough, Personal allowance is the amount you can earn before you pay tax on it, and this is repeated later, when full time employed persons are reminded their earned wage plus sole-trader profits are combined to assess income, despite the fact that they already paid tax before their wages go into their bank accounts. I don’t know if this applies equally to part-timers, as I was unable to discover if this applied equally to them. A comment posted above asks for clarification on if already taxed wages counted towards personal allowance (implying it would be a form of double-taxation) and appeared to be told that taxed income did not count towards the personal allowance. Quite confusing for me, but then taxation has always been handled by my employers in the past, and this is all very unchartered territory for me, so apologies if my understanding of this topic is very limited. I’m not sure but I think it’s same situation with part-time jobs too. Just to be 100% sure, give a call HMRC and get direct answer from them, as I’m not really a tax expert. I have recently been thinking about selling little ‘creations’ I make on sites like Etsy and eBay, i would most definitely earn less than the personal threshold, so would I still need to register as a sole trader? Would the tax office just want the yearly report of my earnings if I was to do this and only charge tax if the income does amount to more? I’ve never done anything like this before, but want to do it right. Would I need to keep note of the cost of my materials and then also the cost I sell the items for, or do you just keep note of profit alone? Yes, you will still want to register as sole trader and do your yearly tax return. If you earn very little, below your personal threshold, you simply won’t have to pay any extra taxes on your profit. But you still need to do this to be accountable. Yes, you’ll keep records of all expenses (like invoices for buying materials) as well as income (sales). The difference between your income and costs will be your taxable income – profit. I am a stay at home mum and cannot afford full time childcare to justify working a fulltime job. With my time I have been selling quite a few of our little ones old toys clothes etc which I have added too with a few unplanned purchases from carboots etc. I am confident I can make a little modest second hand business with this and feel I am ready to register as self employed with HMRC etc. I have two small issues that I would like some advide on please before I make the break and go for it! Firstly about 6-7 years ago I was banned ‘for life’ on eBay for a couple of personal items that they said were fake (even though I had proof of purchase etc but eBay was determined with there descision) I tried a year or two later to appeal but it was set in stone. About 3years ago my husband (now…only recently married) created an account which I have been using under his name ever since (successfully with a great feedback score) which is linked to HIS Paypal account which is thus linked to HIS bank account. If I link my personal bank account I fear it will link us and that account will also be banned. My question is…If I register as self employed and continue to buy/sell etc can I still use my husbands bank account/paypal account and eBay account to receive money/earnings into to use for my Tax earnings and payments etc? Sorry its a complicated situation but I really appreciate all your help and advice! I think your best bet would be to register as a sole trader, register a business name and then open up business bank account for it, upgrade PayPal account to business, with the new name and link that new bank account. It won’t show your name so I don’t think eBay/PayPal can link it to you personally and ban your account. Accounting for eBay sellers SIMPLIFIED! Just one more ponder Andrew…obviously at the start no one can really afford an accountant…what is the BEST method of running the books until you can as regards *taxation*…thanks thanks John. In the beginning you can simply use Excel to keep records of all sales. As a sale trader you’re free to choose how you keep your books as long as they’re transparent, with all transactions recorded. I just want to clarify…I fully understand your dissection of how taxes work for self employment, however when you say you can add your employment income with your sole trader business income while you are an *employee*…are you not paying taxes twice? I.E you have already paid tax and NI as an employee on the employee side of taxation, OR have I missed something? No, you won’t pay taxes twice – you’ll show employment income/taxes separate in the tax return and won’t double tax it. Thanks Andrew… looking forward to becoming a member of EAB…top man Mr Minalto! Hello Andrew and thank you for such helpful website. I have another Ebay related question. I am employed, full time, make £18K a year and also sell stuff on Ebay. I do it regularly, wholesale > resale, but the income is very small, £200 a month or less. I have registered with HMRC as low income trader in addition to be employed and I received my tax return couple of months ago, but I don’t know if that was just for my employment earnings or was my little Ebay hobby included. I worry, because from my HMRC email subscription it says that I must fill my business tax return by the end of this month. Must I still do it then, even though I got my tax return in October? I wish I could help you with this in detail but I’m not an account/tax expert. You should really just give HMRC a call and find out what you need to do specifically, I’m sure they’ll inform you on steps you need to take. I have a question which I cant seem to find a definite answer to. I have a large toy collection which I’ve been accumulating for more than 10 years. It’s now time to sell it on. Most likely on Ebay where I bought it all. I will be using my Paypal account. What are the tax implications for me doing so? I bought to collect rather than resell ( I think I stopped buying a couple of years ago). Would I be a trader? I’d say no – selling personal belongings doesn’t count as doing business/trading. If that would be the case, then almost every person selling stuff on eBay should pay taxes on earnings, even if selling used clothing or kids toys. That’s really good to know. I am retired on a teacher’s pension. At 62 years I don’t yet get the state pension. I had a big book collection and sold a lot of it off on ebay. But I have now got the ebay bug and have started buying books from carboot sales and selling them on ebay. This is a hobby developed from my love of old books. I am not in it to make money. But I am making some money – probably about £100 a month and worry about the taxman. If I register as a sole trader in order to pay tax can I continue with a personal account on ebay as that suits me as I don’t put many books on in a given month? I have no receipts for the books I buy as it is all from carboots. And can I include the cost of petrol to travel to carboots and the time I spend looking for books and sorting and sending them as expenses in order to reduce the tax paid? I love doing this hobby and genuinely am not interested in making lots of money. But the thought of keeping lots of records and filling in lots of forms is very off-putting. Have you any advice for me? I’m not an accountant nor tax expert but still, by law you should register as a sole trader as you buy goods to re-sell, to make profit. So it’s a business. I don’t think you’ll have to pay anything in tax as your profit is so low but still – your best bet probably is to get a consultation with a local accountant who can advise you on best way to set this up, with as little paper work as possible. Hi, so i’ve met the 81,000 threshold according to ebay. My total sales globally states this. I just wanted to know as this is my 1st year self employed and really haven’t been keeping an eye on things. Is this figure to be trusted? I mean, don’t refunds/returns need to come out of this figure. At a guess, 30% of my sales are returned and refunded. Please help, I don’t really want to be VAT registered or do I??? No, returns and refunds are not taken out of your gross revenue figure so yes – it seems that you have reached VAT threshold and need to register now. I’m not sure, you should contact HMRC and ask them about this. Just one quick question on Insurance. My wife has registered as a sole trader with HMRC and is starting an ebay Business account. She has asked if she needs any Insurance (Product Liability or Public Liability). She is planning on possibly holding a little stock, but the bulk of her items will be dropshipped from suppliers. Yes, by law she is required to have Product Liability Insurance. I bought your EAB disc a couple of years back and have finally started importing and selling on ebay. I’ve been doing it for a couple of months now so I’m about to register with HMRC. I’ve created an Excel spread sheet which lists every sale, postage, cost of goods, fees etc and a profit figure at the end. My question is, am I over-thinking this? 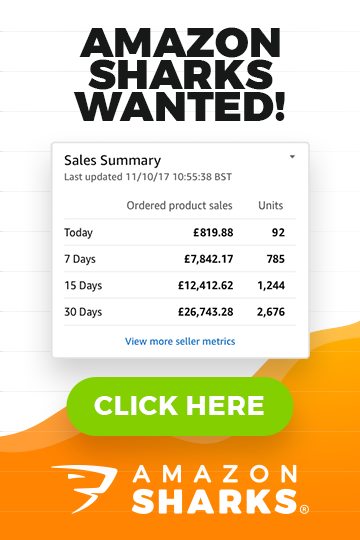 should I record every single sale or say, just the weekly/monthly total? Its not so bad at the moment but if it gets into the hundreds of sales a day range I think I would be spending more time on the spreadsheet than on selling. You need some kind of record for each sale BUT you want to start using bulk exporting options – export sales from eBay & payments from PayPal via CSV files, once a month. And then organize them in a spreadsheet. This way you don’t have to manually “record” each transaction. Thanks Andrew, that’s good advice as always, I’ll start doing that – it’ll probably be more accurate too! It’s a great website, which answers many of questions. I have some as well. I know it might be stupid, but I’m really new in it. I’m just about to start selling stuff on eBay. Now doing some research on what I can sell. I wonder when I need to register myself as self employed. At the moment I want to try with few things I’ve just ordered and I won’t make a big money on it. The second thing, I bought the stuff from China, but it’s just few things. When I need to pay custom? And how? Basically, you want to register as a sole trader as soon as you decide that you want to run a proper business – be it online or offline. As for VAT & import duty on imports – if goods are sent via the courier, they will inform you about taxes you need to pay and will send you an invoice before (usually) or after goods are delivered. Do we (Can we?) change my account over to a business account with my wife’s name as the business? And then register her with HMRC? Is this allowed even though the ebay/paypal accounts are in my name. Needless to say, I am happy for her to do this. Yes, I think that is possible. When you upgrade your eBay account to business, you can enter new business name, address which can then reflect your wife’s name OR business name she registers. As for PayPal side of things, I think it will be easier just for her to open up a new PayPal business account and then link it to your eBay account. Yes, 40% apply only to amount above 32 000 after deduction, yes. Can you recommend a bank from which to open business account for start-up? Preferably no fee is required. I am still a bit confused about the book keeping. You said we can use whatever way to keep record, but don’t we need bank statements or any proof of each transaction? But this is also not practical What if I used cash? what if I buy things from China using a bank card/account opened in China? what if I sometimes used my personal bank card? How can I prove every transaction if I were asked to show them? And about NI number, I’ve already got one for my current employment. Shall I give HRMC the same one if I want to register a business? And won’t this somehow be known to my current or future employer? coz I have no intention, as least in the near future, to leap into full time self-employment. With questions like these, you want to get accountant’s help (I’m not one). Public Liability Insurance - What For? Brilliant website and very useful info. I am thinking of starting an eBay business on the side. I have a full time job and earn over 40k but under 100k. My wife earns under 30k. Is it better, in terms of the tax, for my wife to register as a sole trader? Yes, absolutely! She should register as a sole trader (not you) and take advantage of 20% tax on income to certain limit. Once you reach that, then you can register a Ltd. company. Thanks for the reply Andrew. The tax and self employment element is the thing that’s bugging me. I have purchased a few “lots” of products and am awaiting delivery now before creating ebay listings and am also considering selling at car boot sale as well. Would you recommend diversifying like this? Presumably all revenue including the takings from the car boot sale should all be included? Am I sounding too negative?? Just try it out first. You don’t have to register as sole trader from day one – so essentially you can try this whole thing out for a few months and see whatever you like it, whatever you can make money & whatever it’s worth the hassle of becoming a sole trader. Just keep all the records of your business e.g. invoices, receipts so you can book them later on when you register. Thanks for the advice Andrew. I could probably do with purchasing the EAB programme at some point too!!! If my income from employment exceeds the threshold for paying 40%, is it worth setting up the business as a limited company to pay the 20% corporation tax even if I am expecting only a relatively small profit (given the fees and paperwork involved in setting up a limited company)? In the beginning, you can probably just register as sole trader, if you expect a very low profit. And then, later on register a Ltd. company when your profit picks up. It’s really not worth having an Ltd. company if you just make 50 or 100 quid per month. (unless you can take care of all the documentation on your own). Firstly, thank you for creating this website. You have cleared up so many things for me and the above article has really helped me understand the taxation angle via HMRC! I have recently been made redundant and was hoping to set up an eBay shop selling comic, tv and retro memorabilia and gifts). Please can you help me with some advise as stupid as this may sound, as I’ve been getting mixed messages (and wish to stay on the right side of the law)? If I register as a ‘business’ on eBay, will I be charged VAT directly by eBay immediately, or do I manage this by myself via HMRC? Ebay asks me for a VAT number but I presume that this is to contribute with lower fees? I already have a personal eBay account but was hoping to keep the business site separate for clarity. eBay will charge you VAT on fees, that’s perfectly fine. You DON’T have to provide eBay with VAT number, that’s optional. Just leave that field empty. Thanks Andrew for clearing that up for me. So relieved! Loving the website, just wondering if I could pick your brain?, I work as a carpenter on a self employed basis and company’s i sub contract to deduct my 20% tax! , I want to register as a company/sole trader for tax for online sales , but I wanted to try and keep this separate to my carpentry work, does anyone know if this is possible? You can only be Sole Trader ONE TIME – meaning that if you’re already registered as a sole trader, you can’t register for it again, for the 2nd business. So you can either take online sales under the roof of your current set-up OR open up a Ltd. company if you want to separate these two businesses completely. You mention there’s no difference if you’re already employed, regarding tax returns, but if you already qualify for the 40% threshold from your J.O.B, then would you recommend starting a Ltd company straight away even if you’ve no experience of running your own business? IF you plan to make profit from day one, then yes – Ltd. is the way to go. Who wants to pay 40% tax on profits? That’s simply too high. Great post and very informative ! One thing i would like to ask is that if you setup a Ltd company does that automatically mean you have to pay VAT ? Great to hear you find my post valuable! NO, when you register as a Ltd. company, it DOES NOT mean you automatically register for VAT. These two things are separate. You can have an Ltd. company which isn’t VAT registered.